Oh Rome! Why did we not fall in love with each other sooner? Why did it take so many tries for me to love you, to get you? Maybe I needed a red vespa tour in Rome to make me swoon, yes, that may be it! To fall in love you need a few things to fall into place: excitement, beauty and supernova appeal. 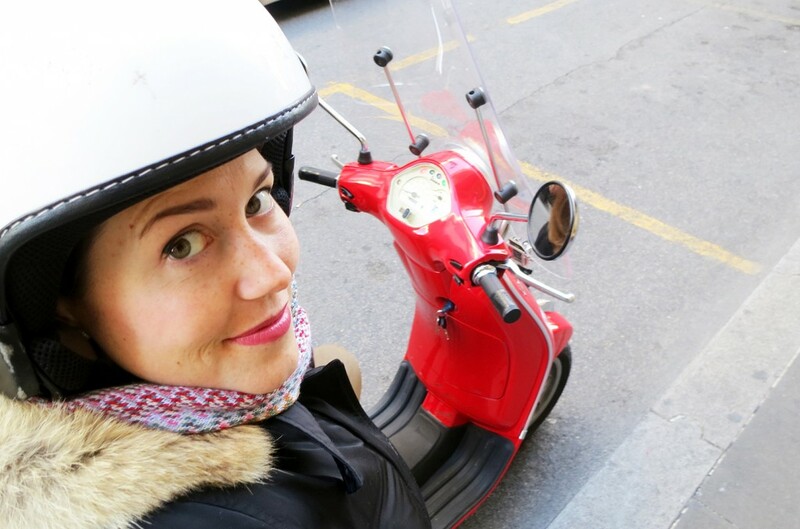 Hopping on a beautiful vespa and getting whisked away through the hectic streets of Rome is nothing but exciting. Revel in the mess of Rome, the non-traffic traffic rules, the speed, the flow, the honks, the va-fan-gu’s… Rome bleeds itself onto the pavement, making way for some magical and crazy ride that is…unforgettable! My driver of the day was Annie Ojile herself, A.K.A. The Scooter Maven. She’s spunky and cool, like really cool. Not some people who look cool because they’re on a motorbike, but cool as in I wanna hang with this girl, throw a few whiskeys back and chat with this girl kinda girl. Cool, as in she’s in HuffPo cool. Just the right words, “your chariot awaits.” My heart jumped as I ran down the hotel hallway and pressed the elevator button about 62 times to get down to my chariot. I arrived, popped on The Maven’s extra helmet and we were off into the craze that is Rome. 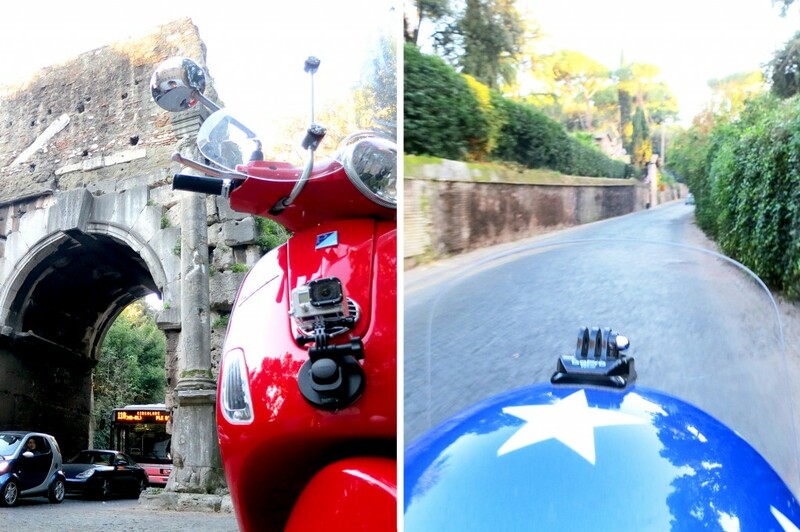 Ya sure, why not start off this vespa tour by driving around the Colosseum, no biggie! Many tourists don’t seem to appreciate the beautiful scaffolding that’s in place to clean up this beyond vintage thing. I absolutely love it, the symmetry, the juxtaposition between natural elements and metal, between arches and tight little squares. What do you think? Next, we parked by The Baths of Caracalla of 216 A.D., the largest imperial bath house still intact to this day. It once held 1,600 happy bathers. Sounds more like a water park than a spa if you ask me. It’s now home to the Rome Opera Company during the summer months. 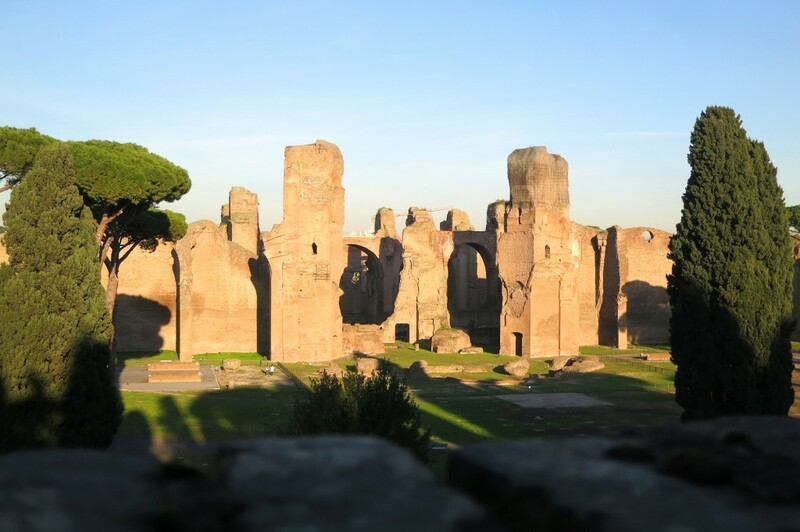 It was named after Emperor Caracalla who commissioned the site. 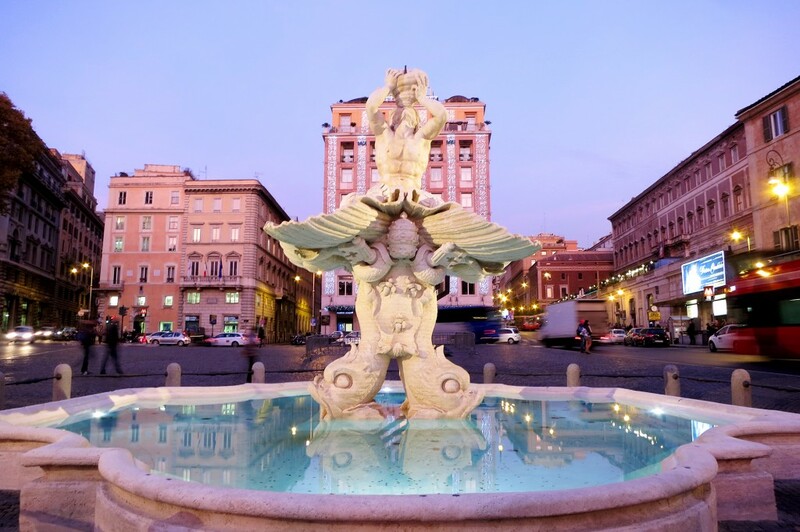 The bathhouse’s water was supplied by one of the 11 aqueducts, 3 of which still supply the city of Rome. Don’t forget about the hundreds of slaves who warmed up the ground floors to make the baths so deliciously warm to soak in. 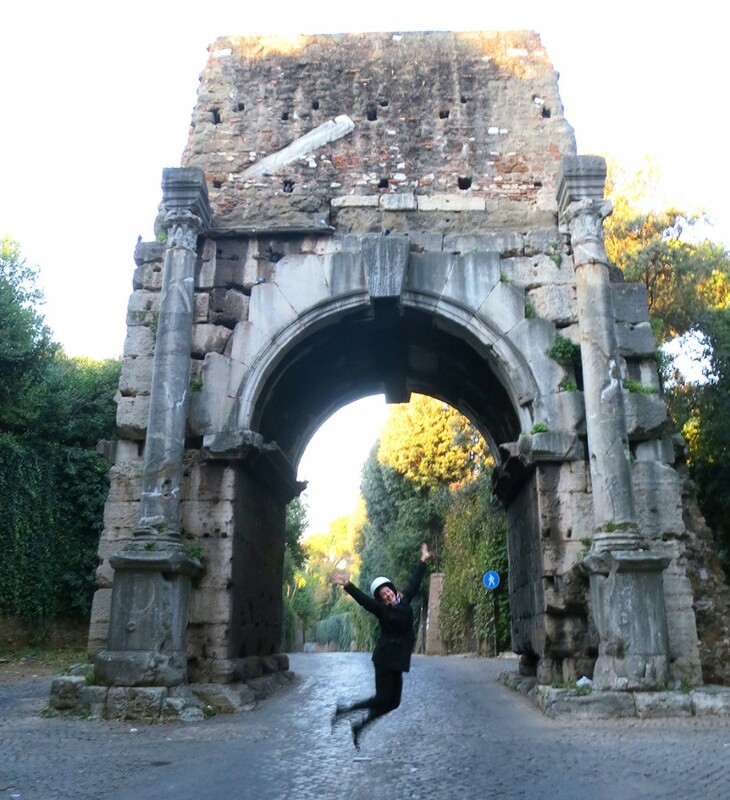 We then scooted through the Appian Way while checking out the Aurelian Wall. The wall’s a mighty structure that was built in 3 A.D. to protect the city. It ran 19km in circumference. 13km of the wall is still standing today along with 19 of the original gates. The Appian Way—the queen of the long roads—is one of the oldest roads in the world stretching to 563km. So, the phrase “all roads lead to Rome” is pretty much true! The first section of the road is from 312 B.C. It was built to move an army and transport goods, so it was the Romans’ lifeline built to last and lasted it has. Zipping past the Pyramid of Gaius Cestius we booked it to the Testaccio neighborhood. Testaccio was home to the former slaughter houses which now harbors the modern museum, MACRO. This neighborhood once fed 80% of the country, imagine that! 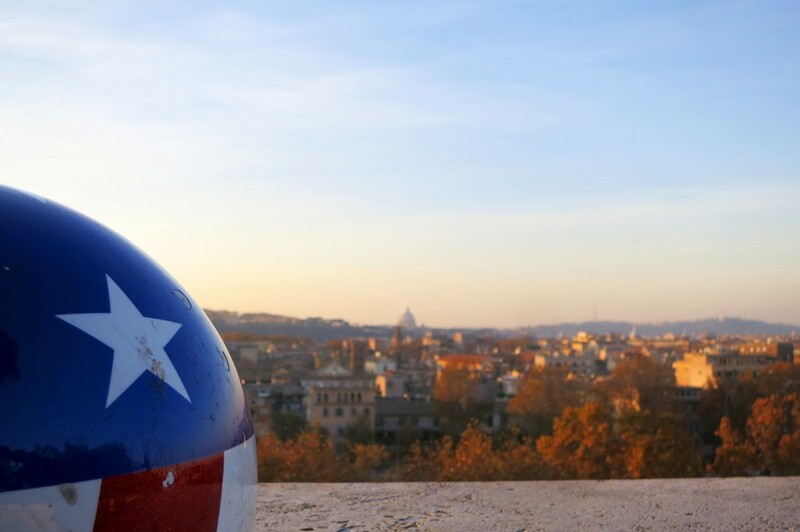 Now it’s the foodie part of Rome, an area your stomach will thank you for visiting. Giardino degli Aranci, my fav! One of my favorite stops was definitely at the Giardino degli Aranci, the Garden of Oranges. We parked our red chariot and walked through tall antique gates. The space is not very large, but it doesn’t lack in charm or romance. 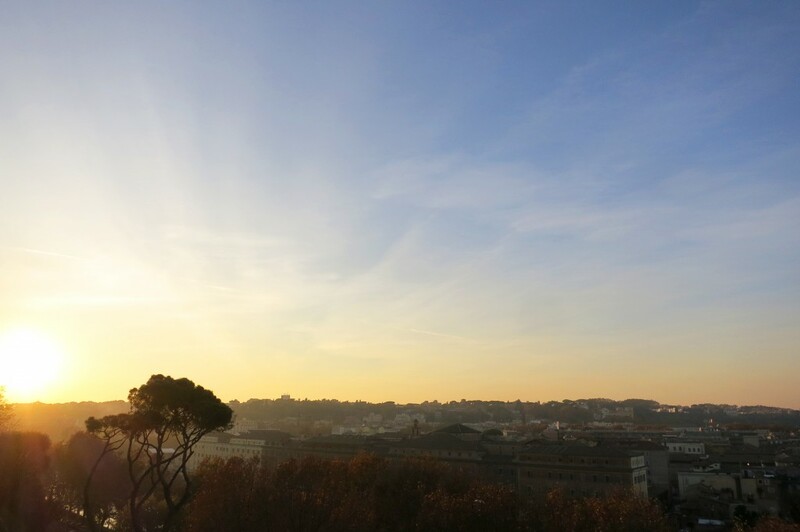 It has some of the best views of the Roman painted skies, plus a direct shot of the Vatican’s dome. It didn’t hurt that out by the gate there was a nonno selling roasted chestnuts, yummm. The illusive door of the Priory of Malta is a stone throw away from the garden. 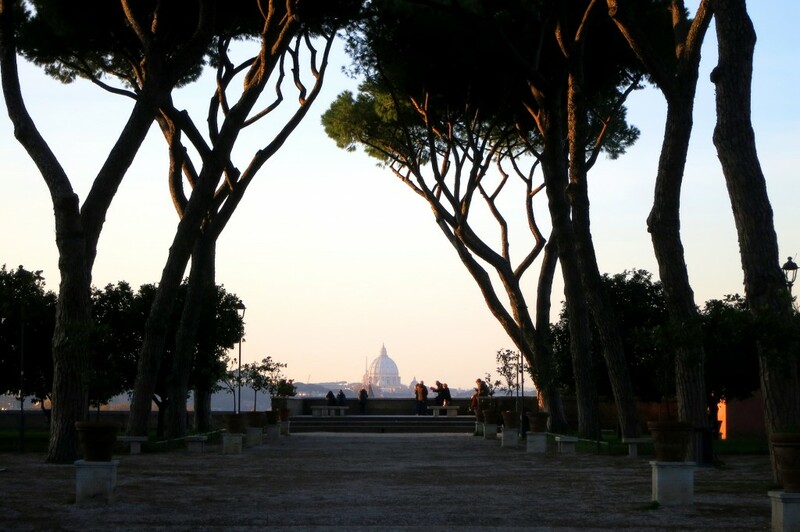 This private sovereign entity sits over the Tiber River on the Aventine Hill, one of the seven hills in Rome. The Maven was so excited to show me what was through the (always) closed door’s infamous keyhole. 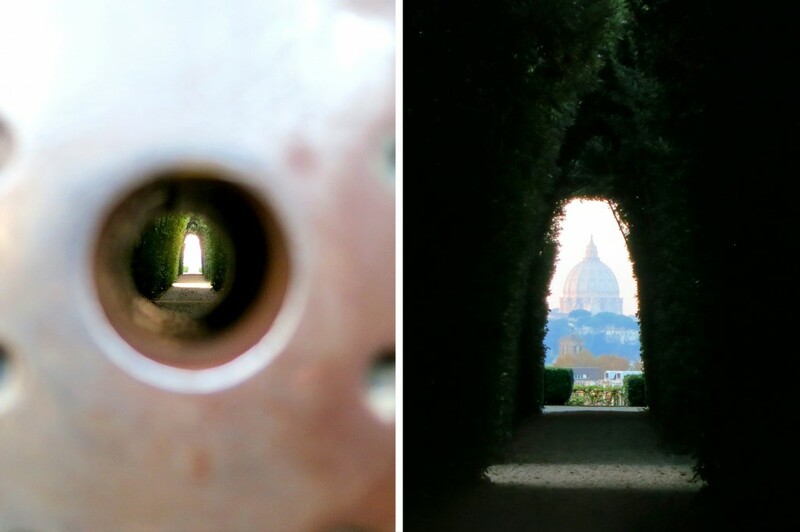 It’s a view through the Malta villa, looking off into Rome, smacking into the Vatican’s dome. That’s three countries through one viewpoint! Shhh, this is a secret keyhole, don’t tell anyone! Piazza Barberini, time to hop off! The Maven dropped me off by Piazza Barberini, so I could head down the Spanish Steps and roam on my own in Rome. I’m officially smitten. In love. 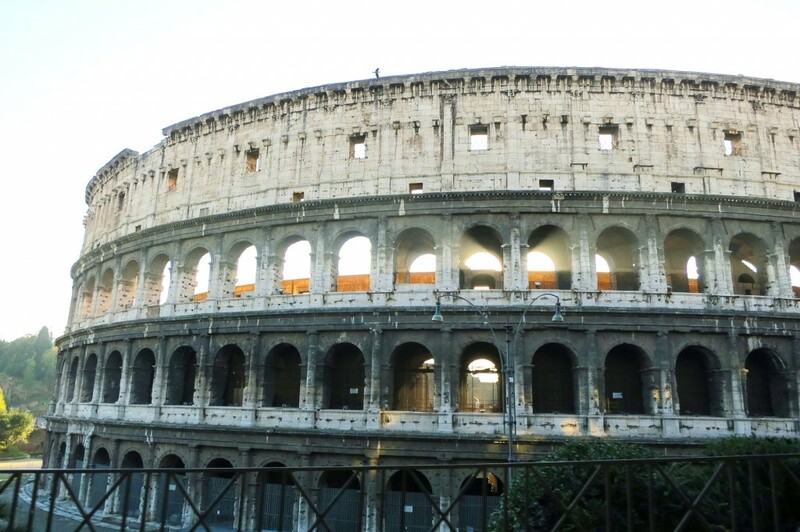 In awe…with Rome! The wind, the sights, the sun, the views. What more do you need? This tour gave me the best run down of the city on my first day in Rome. Ti amo Roma, ti amo! 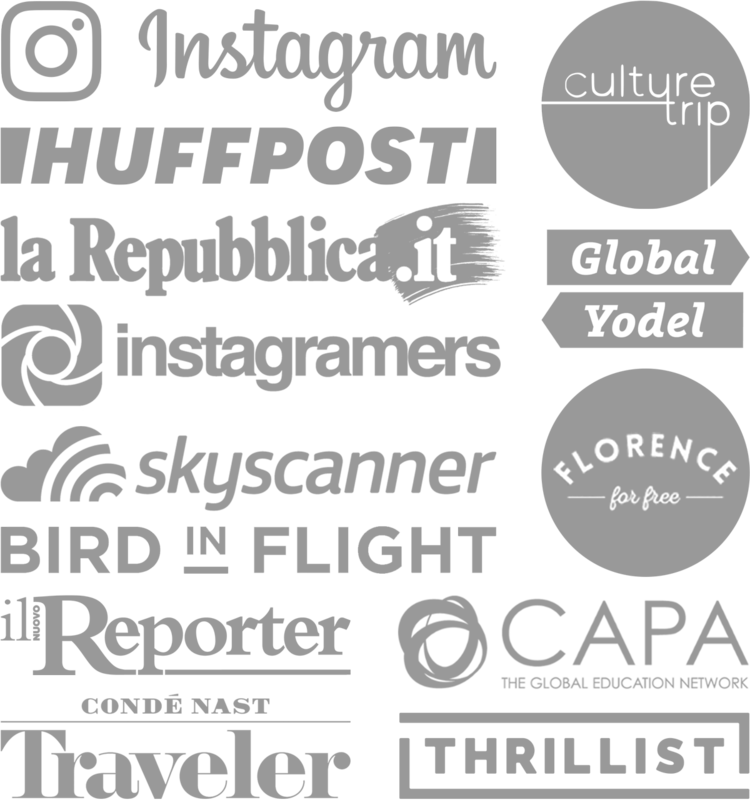 *INFO Connect with Scooteroma Tours on Facebook, Twitter, Instagram and Pinterest. The Maven knows her stuff! 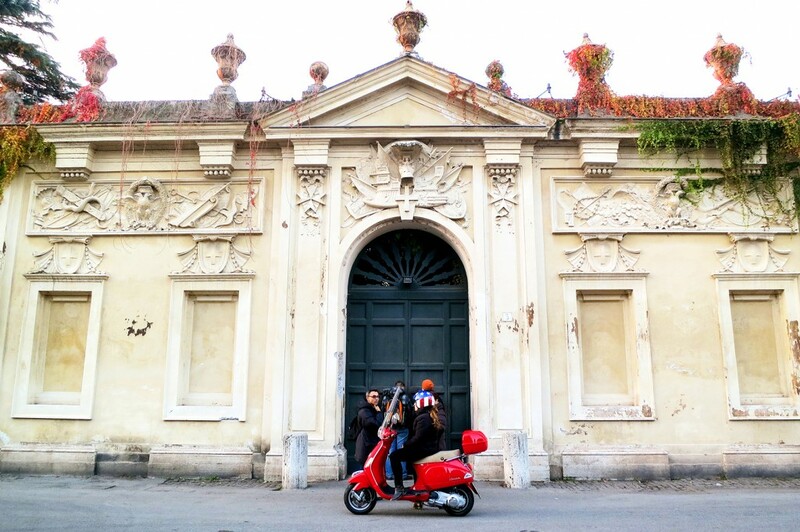 She’s been a guide since 2005 and has a die-hard passionate connection with Rome, its streets, people, vespas and Mr. G her other half who runs Scooteroma with her. Thanks Maven! What’s the best tour you’ve ever been on?! 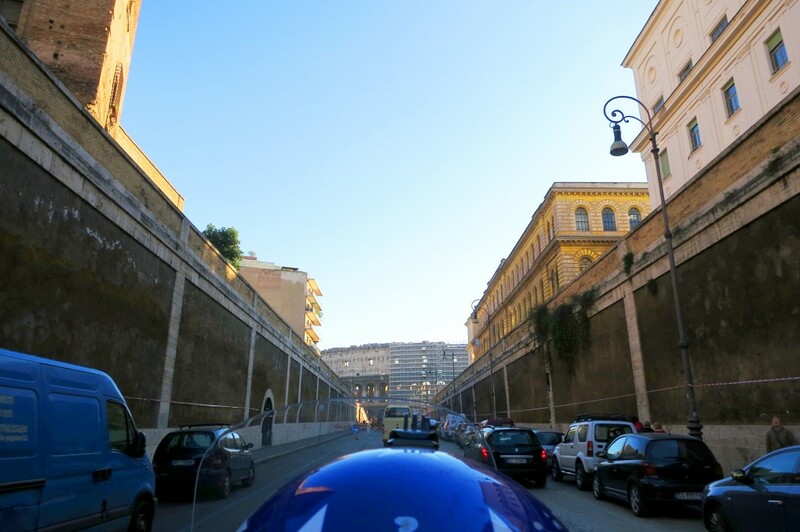 Rome is a fun city anyway but likes like even more so on the back of a Vespa, love the photos! Yes, even more so on a vespa! It was so much fun, highly recommend. Thanks Annie for the unforgettable tour, your hospitality and time! Great article! Looks like you guys had a lot of fun! Thanks Lazio, we had a great time! We saw so much and Annie’s so great!